Never invested before? Take full advantage of acorns to help you invest in your future. With so many great tools to help you get financially sound and put your cash to work for you. Acorns uses three ways to help you turn your seed in to a money tree. Growth path one. Link you bank cards credit or debit to take advantage of your digital loose change. So, you swipe your card at Made in Mexico on your night out in Dykeman. Acorn makes sure you still investing in your future by making that transaction round up to the nearest dollar. Taking the difference and putting to work for you. Growth path two. You set up a recurring payment to your acorns account. What’s recommend is that you do a weekly recurring payment to get the best out of dollar cost averaging in the market. Meaning that you are taking advantage of the market highs and lows while time passes on. If you can do it, 40 dollars a week should really get things kicking down the line. Growth path three. One-time payments made by you. In my opinion this is the most difficult one. You got to check yourself and making sure you are doing what you need to do. Acorns is here to make things difficult for you and kind of take the edge off by making investing easier for you. But acorns understand that people want to have full control and still gave you the option to invest on your time. For those that choose this option I recommend 400 payments once a month at minimum to really take advantage of time. Doing one payment a year puts you at disadvantage of not taking the discount when the market takes some dips throughout the year. But whatever you do just start putting your money to work, one dollar at a time. 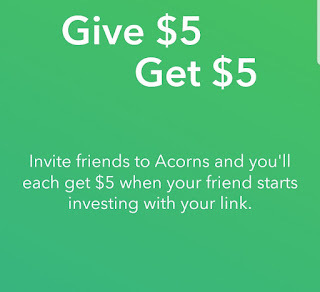 Acorns is a great place to start if you are completely oblivious to the financial market. 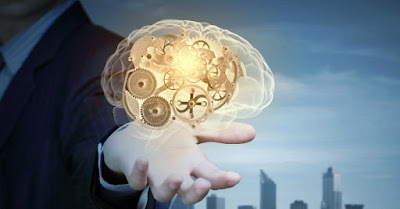 They also have other tools like reads and articles to help you improve your knowledge on finance. Please take advantage of my code to get 5 dollars boost to your account. Start putting them dollars to work!